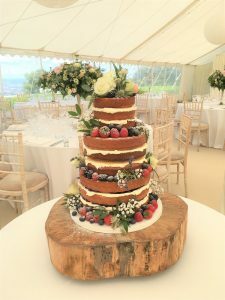 The design of the Naked Cake has been evolving over the last few years. A favoured design choice for the ever popular more rustic, relaxed weddings and venues. 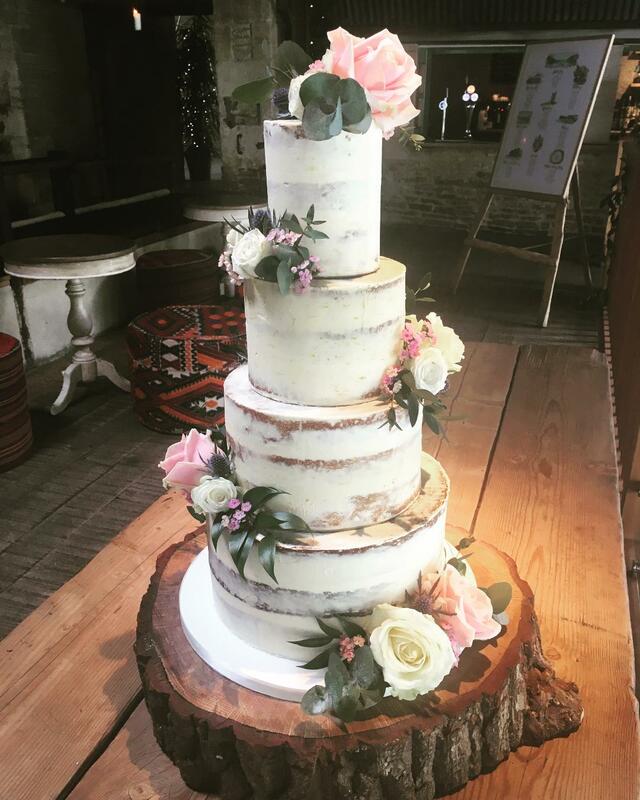 The Naked Cake, for those new to the cake world, is a wedding cake with no sugar paste icing. Gone is the smooth white iced finish, and you are left with a rustic, exposed sponge and buttercream exterior. It has progressed from the ‘home made’ finish, adorned with fresh berries, to a more polished ‘semi-naked’ finish, decorated with a choice of fresh flowers, dripping chocolate or caramel or a splash of metallic gold or silver. 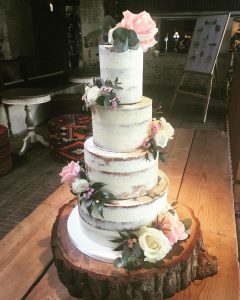 Whatever style of Naked Cake, it always looks beautiful and individual, as every couple has chosen a different array of flavours, flowers, fruit, colours and toppers ensuring that their wedding cake is unique. 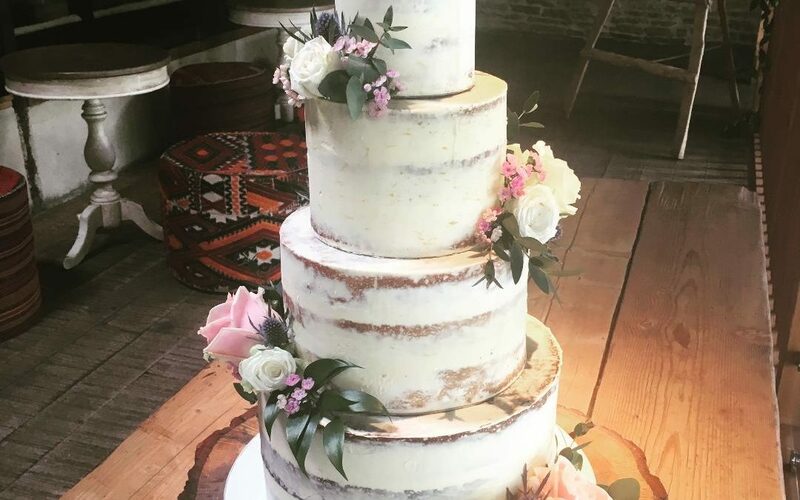 For those who think that the Naked Cake is a passing trend, do not be so quick to write off the style. The Naked Cake is a great alternative to the iced wedding cake, giving couples additional choice to represent who they are as a couple on their wedding day.